With hundreds of feature films and shorts premiering in Toronto—and often, the world—TIFF never disappoints its audience. If you want glitz and glamour, you get it—from Naomi Watts to Kate Hudson, from Robert Redford to Bill Murray. If you prefer directors, there are new films from Margarethe von Trotta, Neil Jordan, Joss Whedon and Chen Kaige. Documentaries? Experimental films? Horror flicks (with a difference)? TIFF has them all. If you love film and choose wisely, every TIFF is terrific—and the edition for 2012 has proven to be no different. Take a look at a sampling of this year’s Galas. The diversity is remarkable and so is the quality of the work. What Maisie Knew is a whip-smart adaptation of Henry James’ novel, updating a story set in late 19th century New York to contemporary times. In both tales, sweet young Maisie finds herself turned into the prize possession in a divorce case. While she observes the actions of the adults around her, Maisie’s parents and their new paramours attempt to control her life. But who really loves her? Directors Scott McGehee and David Siegel have crafted a fine film featuring an outstanding performance by Julianne Moore as Maisie’s crazy, loving mother. Jayne Mansfield’s Car is a melodrama about a dysfunctional family (is there any other kind?) directed by Billy Bob Thornton. Set in the late ‘60s in Alabama, the film focuses on the dramatic meeting of the English Bedford family with the Caldwells, a rich clan of Southern eccentrics. Patriarch Jim Caldwell (Robert Duvall) obsessively goes to car crashes; daughter Donna (Katherine LaNasa) loves men, perhaps too much; son Carroll (Kevin Bacon) has become a pot smoking hippie while his brothers, weirdo Skip (Thornton) and ultra straight Jimbo (Robert Patrick) are barely functional. When the Bedfords arrive to bury Naomi, the Caldwell matriarch who had left the South years earlier to join them, sparks are bound to fly. 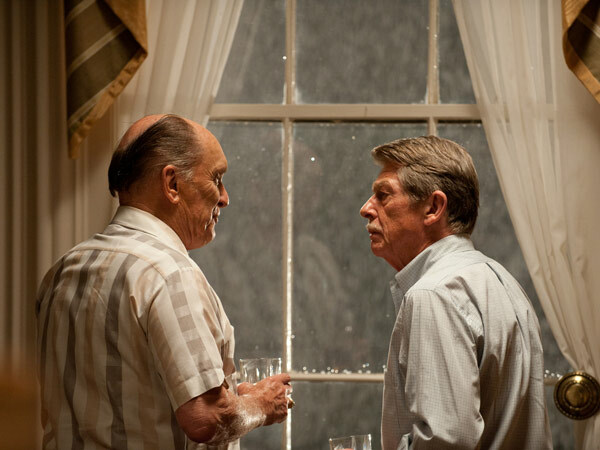 Truth be told, the rich material overwhelms Thornton as a storyteller and director but there are fine moments, particularly between Duvall and John Hurt as the rival family heads—and former husbands of Naomi. Inescapable is one of the few Canadian dramas—and it opens in theatres this weekend. Director and scriptwriter Ruba Nadda has crafted an intricate tale of espionage and intrigue set in Syria, just before the civil war erupted. 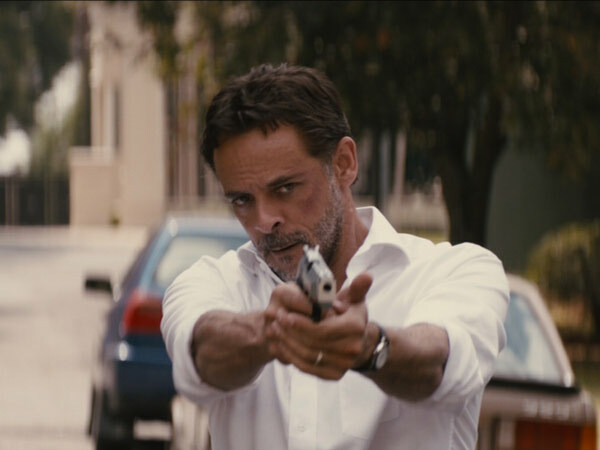 Alexander Siddig plays Adib, a successful Toronto businessman who quickly (and only semi-legally) travels to Syria when he finds out that his daughter has disappeared in Damascus. It soon becomes clear that Adib had been involved in secret governmental activities before he abandoned the country 25 years earlier, leaving behind a fiancée (Marisa Tomei) who still loves him. Complicating Adib’s efforts to find his daughter is a Canadian embassy official (Joshua Jackson), who may be romantically involved with the young woman. And, this being a thriller, there are scenes of violence—and even a car chase. Inescapable touches on lots of red button issues, from governmental corruption to the blatant misuse of power by a dictatorship. Ruba Nadda’s film is a thought provoking genre piece. This is a Canadian Gala that should attract an audience. It’s very good. And so is Nadda.